Continue straight along Camrose Avenue and The Hive will be on your right just after the width restriction. Go straight over the traffic lights on to Camrose Avenue. Take the 1st exit left at Staples Corner roundabout onto the A5 / Edgware Road. The A5 runs from Marble Arch in central London all the way north to Stanmore. Drive straight all the way to Burnt Oak and turn left on to Camrose Avenue. Our ample on-site parking has room for up to 500 vehicles on a first-come, first-served basis at a cost of £5 on matchdays and £1 on non-matchdays. Canons Park Underground Station on the Jubilee Line is a 5 minute walk from The Hive. Turn left out the station on Whitchurch Lane and after a couple hundred feet the pedestrian entrance to The Hive will be on your right. Queensbury Underground Station, also on the Jubilee Line, is a 10 minute walk from The Hive. Turn left out the station on to Turner Road. 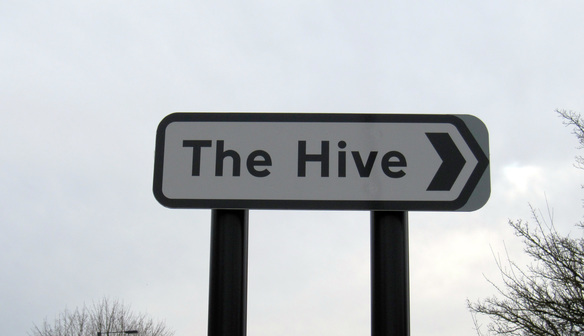 Walk to the end of the road, turn right and the entrance to The Hive will be across the road. 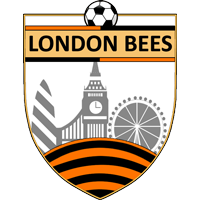 Edgware Underground Station on the Northern Line is about a one mile walk to The Hive. The 340, 186 and 79 all run from Edgware Station to Canons Park. You can also take the 288 and 688 from Edgware Station to Camrose Avenue. Coming from West of The Hive you can take the 114 and get off at Turner Road. It is then a short walk up to Camrose Avenue.